Hello everyone .... 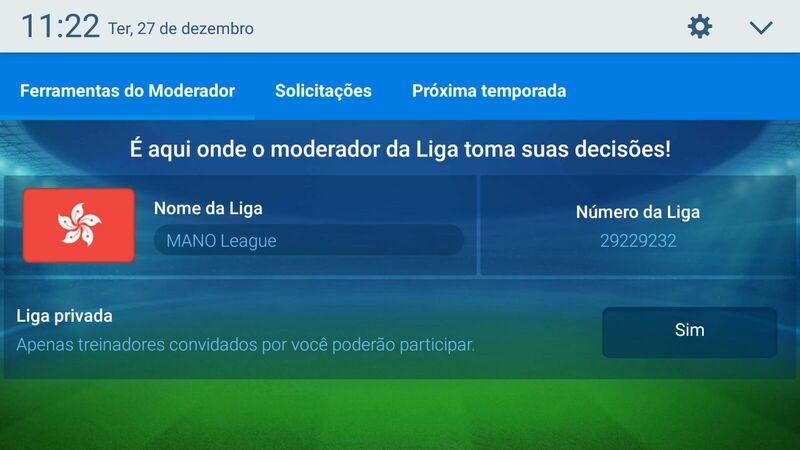 I would like to invite everyone to join my league, the same was created yesterday, has no preparation and I know the beginning will be today, I am waiting for you friends. We are a band of Croatian managers that are playing the game for past several seasons and for this season we have 1 spot available so if you think you are up to the challenge, join us and feel to write me a private message to speed up the process to confirm your request. Although we are open to everyone, Croatian managers will have the advantage! @Majstor-Matt you could join much tougher league then that one - Zagorska OSM is now in Spain as well! Hello all guys there are 6 free places in my league !! Always wanted to play in a league and battle against manager that is in top 100 in world ranking? Now is your chance, join me on my main account (slot 1) in Lithuania and show me what you got! Hey. I want to give someone my team, beacause I must leave my team today evening because of tourmament that I will take part in. I'm playing a Thai league ★Children of Garuda/2017★ moderated by @Dovco_HandF. Good league with some great managers. I manage Sukhothai with goal 15. I already have 5th position, squad value about 220M. It's fixture 20 already, today will be 21st. If you want to play you can take that team now, the sooner the better. 2 clubs are free ! We started a new France championship, we're actually 6 French guys and 2 Turks. A lot of promising teams (Bordeaux, Rennes, Montpellier, Toulouse) are still open and are waiting a good manager ! We're not that good (still beginners), but we're active, so feel free to join us to wreck us and play with us !